Interestingly, to think about Australia remains imperfect without thinking about Kangaroos and Australian Cricket Team. In fact Australia is the smallest continent and the 6th largest country in the world. 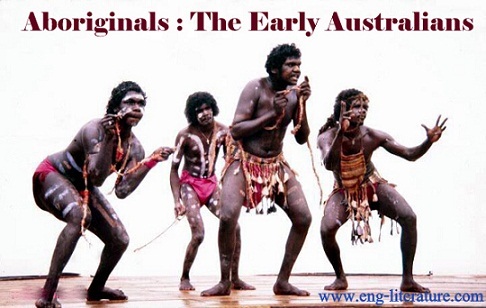 The country has its long past history, mainly the early dwellers that are likely to be called the aboriginals. Humans are thought to have arrived in Australia about 50,000 years ago. The original inhabitants, who have descendants to this day, are known as aborigines. In the 18th century, the aboriginal population was about 300,000. The aborigines, who have been described alternately as nomadic hunter-gatherers and fire-stick farmers (known for using fire to clear the brush and attract grass-eating animals instead of cultivating the land), settled primarily in the well-watered coastal areas. Some observers believe that poor treatment of the environment by aborigines over many centuries may have led to the barren nature of much of the Australian interior. Higher forms of mammals never reached Australia because the land bridge from Asia ceased to exist about 50 million years ago. Anthropologists hold that the aboriginals are Caucasian in origin. This means that their root stock is the same as that of Europeans. This theory is based on their hair structure, the fair colour of their newborn and the fact that, with marriage to whites, their dark colour gradually disappears after several generations and there is never a ‘throwback’ as there is with people of Negroid origin. Carbon tests show their presence on the continent for over 50,000 years. This was probably during the last ice age. Although the aboriginals were and still are distributed throughout the whole continent, their number probably never exceeded 300,000 and may have been closer to half of that figure. It was Governor Phillip who reported that there were 1,500 of them in the area of Sydney Cove. The first settlers encountered a primitive race, using stone-age tools. They were usually completely naked and were skilful hunters who could survive the harshest environments. They lived as nomads, following the seasonal food supplies. Even now, the non-westernized ones prefer this lifestyle. When they feel restless, they go on a ‘walk-about’ and return when their wanderlust is satisfied. They kept their tribes small so as not to overstrain the food supply. It also seems that they were unaware of biological paternity and believed in the existence of tiny spirit children who lived in trees and caves etc. and who were always on the lookout for a woman who would make a good mother for them. Despite this belief, inbreeding was provided against by totem rules. Each person belonged to a totem group e.g. the emu group, the kangaroo group, the goanna group etc. One always had to marry a partner from a different totem group. It seems that the Rainbow Serpent, a dragon-like creature would express her will through dreams to certain tribal members, the aboriginal equivalent of Medicine Men. This gave the latter a terrifying power over the tribe people. The aboriginals, having lived in isolation from the rest of the world, were especially vulnerable to diseases such as smallpox. Thousands died from diseases against which they had no immunity. They also quickly became addicted to the addictions of the white people, alcohol and tobacco. To get these commodities, they would lower themselves unashamedly. them in their natural state – big, strong, keen-eyed, laughing fellows… etc.” Actually, the aboriginals excel in sports like track, boxing and rugby football..
How Old is the Aboriginal Culture? The culture of the Australian Aboriginals is unique in that it is one of the oldest continuous uninterrupted cultures in to world. It is at least as old as their initial migration to Australia about 50,000 years ago. Most cultures of the world have been significantly influenced by the cultures of other people. The Aborigines, because of their isolation from foreigners, remained unimpacted by the cultures of other people until the arrival of European settlers in 1778. How Long have the Aboriginals lived in Australia? The general consensus is that the Aboriginal people have lived in Australia for at least 50,000 years. Some have suggested that it may be as early as 65,000 years ago. What is the Aboriginal Population of Australia today? The Australian Bureau of Statistics census estimate of the Aboriginal population of Australia as of 30 June 2011 was 669,900. This constitutes about 3% of the total Australian population. The Aboriginal population is increasing at the rate of 2.2 per year (compared the overall average of 1.4%). It is estimated that the Aboriginal population in 2014 was about 713,600 people. Where do the Aborigines live in Australia? Prior the arrival of European settlers in 1770s, most of the Aboriginal population of Australia lived along the coastal regions of Australia. But with colonisation they were progressively displaced by the white settlers to more remote parts of Australia. Most of them today live in towns and settlements. New South Wales has the largest population with 210,000 people. Next is Queensland with 200,000. Then followed by Western Australia (90,000), Northern Territory (70,000), Victoria (50,000), South Australia (38,000), Tasmania (25,000) and the Australian Capital Territory (6,300). Aboriginals make up 30% of the population of the Northern Territory, the highest proportion of the population by state.